Alauddin Khalji started building the Alai Minar, after he had doubled the size of Quwwat ul-Islam mosque. He conceived this tower to be two times higher than Qutb Minar in proportion with the enlarged mosque. The construction was however abandoned, just after the completion of the 24.5-metre-high (80 ft) first-story core; soon after death of Alauddin in 1316, and never taken up by his successors of Khalji dynasty. 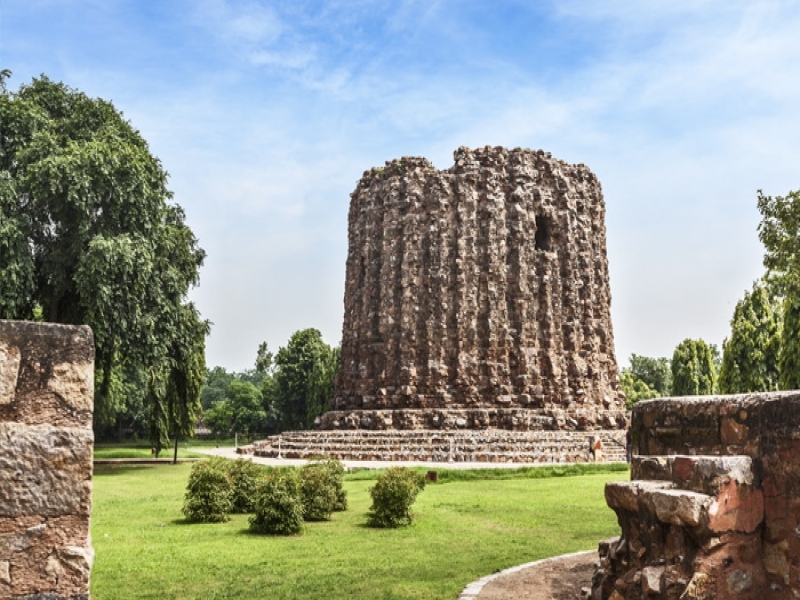 The first storey of the Alai Minar, a giant rubble masonry core, still stands today, which was evidently intended to be covered with dressed stone later on. Noted Sufi poet and saint of his times, Amir Khusro in his work, Tarikh-i-Alai, mentions Ala-ud-din's intentions to extend the mosque and also constructing another minar. Been to Ala-i-Minar ? Share your experiences!